Anil Madhav Dave is a known conservationist but may have to fight green allegations, now that he has replaced Prakash Javadekar as environment minister. 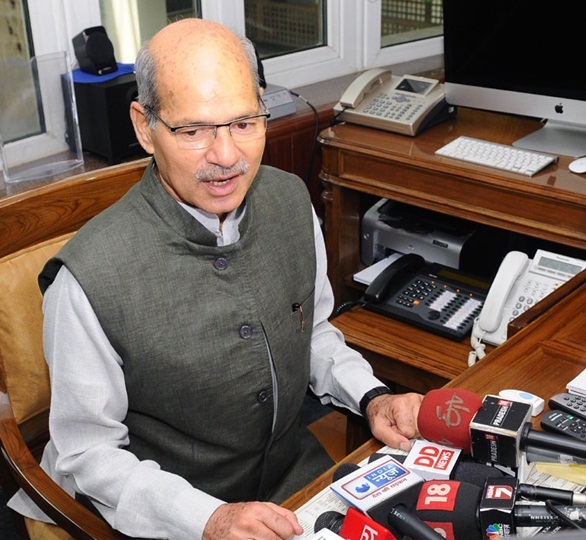 Anil Madhav Dave, a third-time Rajya Sabha member from Madhya Pradesh, is known for his conservation work on the river Narmada. He was also part of the parliamentary forum on global warming and climate change. Taking charge on Wednesday, Dave asked for a week to familiarise himself with the major issues facing the ministry. While his environmental experience may come in handy, a major challenge before him would be to change the negative perception about the ministry among environmental conservationists and activists. Speaking to the media on Wednesday, Dave said praise and criticism "will continue as they have been there for thousands of years". The ministry under Javadekar was said to favour ‘ease of doing business’ over environmental protection. He had made fast-tracking of environmental and forest clearances required to build in forest areas, a priority during his two-year tenure. More than 2,000 projects involving an investment of Rs 10 lakh crore were cleared during this time, which had been waiting for approval for years. This has come at the cost of repeated dilution of norms, say environmentalists. However, the new minister has made it clear that all projects undertaken by his predecessor will continue. On the environment and water resources ministries being at loggerheads over the construction of hydropower projects in the upper reaches of the river Ganga, Dave said, "Every river should flow". Reforms such as waste-management rules on solid, plastic, bio-medical, and construction wastes have been instituted during the tenure of Javadekar. A case in point has been the classification and round-the-clock monitoring of effluents and emissions from industrial units. Javadekar instituted many changes through executive order. Dave will have to move forward on these fronts and may have to go for legislative changes in some cases. He will also have to move forward on the national forest policy, which has been mired in controversy after it reportedly broke the terms of the Forest Rights Act and promoted the idea of permitting industry to use the government’s forest land.